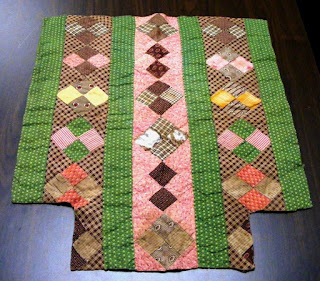 Quilting Adventures: Antique Quilts ..... what a treat....! Antique Quilts ..... what a treat....! Being an owner of a quilt Shoppe that specialized in 19 century reproduction has it's fringe benefits! I would like to share with you two beautiful antique quilts that I had the privilege of admiring, for the first time, last Summer. A few post ago, I shared with you an historical club that I organize called Prairie Women Sewing Circle Club. I am fortunate to have a participant who not only collects antique quilts, but is presently working towards becoming an appraiser. Her name is Barbara Stadnicki, and she has allowed me to share with you a couple of beautiful quilts she brought to our last meet for other club members to experience. 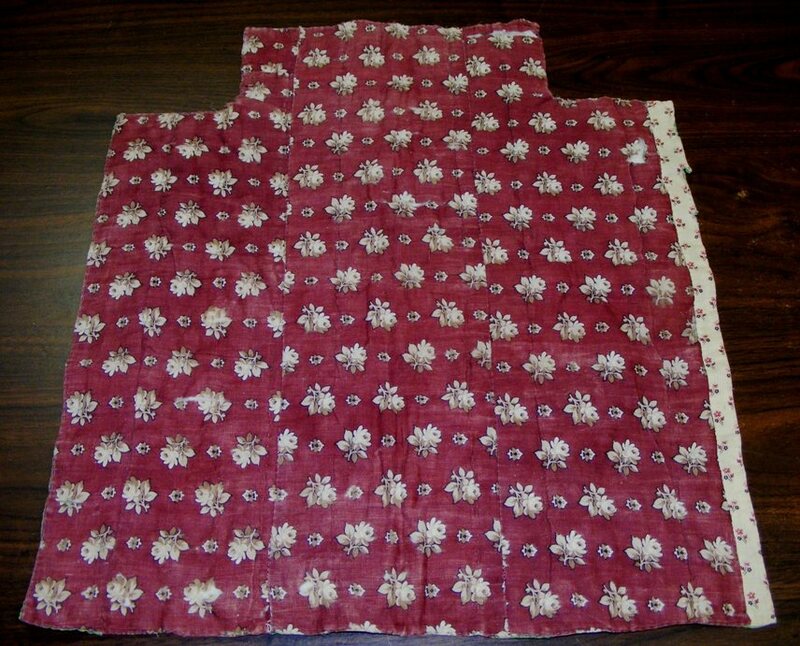 Those of you who love antique quilts, you are in for a treat! The first quilt I want to share with you is a doll quilt. Doll quilts are a rare find. As you can imagine, they are loved to pieces by the child who was privileged to have one. This little gem is a unique piece and is quite valuable. Barbara had it appraised when she acquired it. It's increase in value, aside from being a doll quilt, is due to having the bed post cut outs. I am told that this is very rare for a doll quilt. The bed post cut out provides a clue that this doll quilts most probably comes from the New England area. According to Barbara, judging from the fabrics, it dates anywhere between 1825 to 1850. A block from the quilt! If you look closely at the bottom right square, you will see that two pieces of fabrics were sewn together to make a bigger block. I purposely left the picture size large so that you could admire its construction. Here you have the side of the quilt. Notice the same technique of adding/sewing an extra piece of fabric in order to create the proper size block. That is one small piece of fabric. They were also not afraid to work with directional prints! And.... they matched the pattern to the sewn piece! Wow! The back of the quilt! 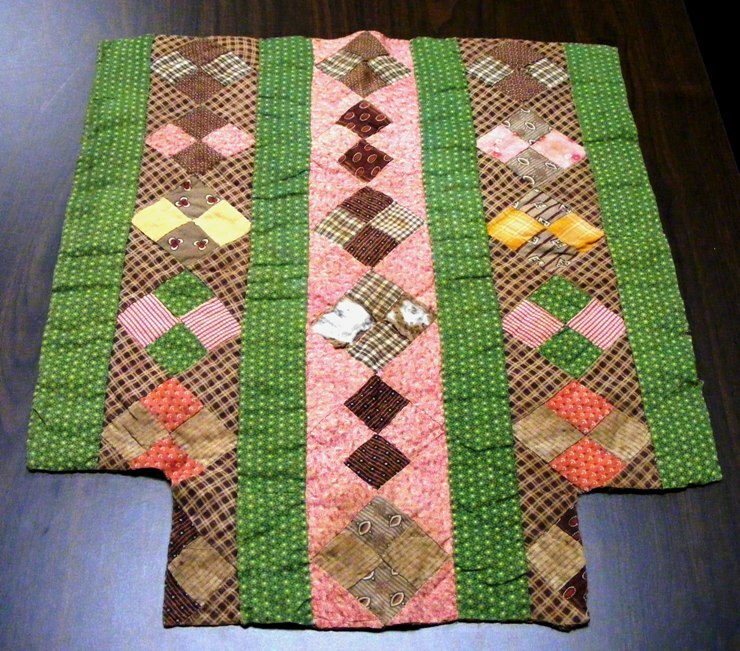 A pieced back, three panels plus a side strip. The quilt is hand pieced and hand quilted. Most probably made by a 9-10 year old girl. Unfortunately, it does not have a label. Words cannot accurately explain the feelings I experience when I am admiring this quilt. To touch a time in history! If the maker only knew what joy her creation would bring to another quilter centuries later! Thank you for allowing me to sharing this beautiful creation with you. Stay tune for the second quilt. I love old doll quilts and it is fun to reproduce them or remake them. That really is a gem! How lucky to have seen it in person. My heart just skips a beat when I see things like this, Carole. As an owner of 19 antique quilts that I've collected over the past 30 years, I can really appreciate this little gem. 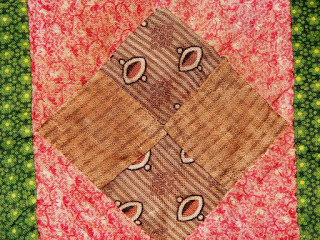 I always wanted to learn how to quilt and all my antique quilts were purchased before I retired and taught myself how. Thanks for sharing this little treasure with us. 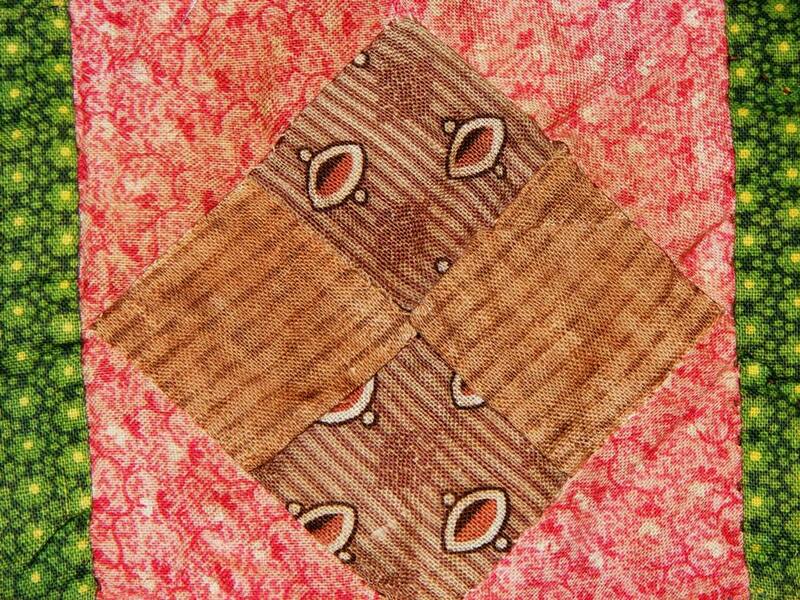 I'm hooked on little quilts and love it when I can reproduce a true reproduction quilt. Thanks for showing us the little treasure. Just amazing Carole...thanks for sharing! Wow Carole -- what a pretty little treasure! 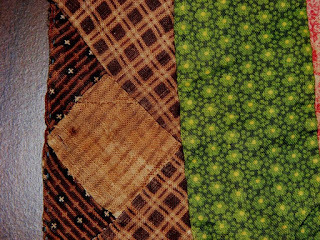 When looking at old quilts, I'm always amazed at how much piecing together happened to get enough fabric to make a patch -- even if the patches are pretty small. 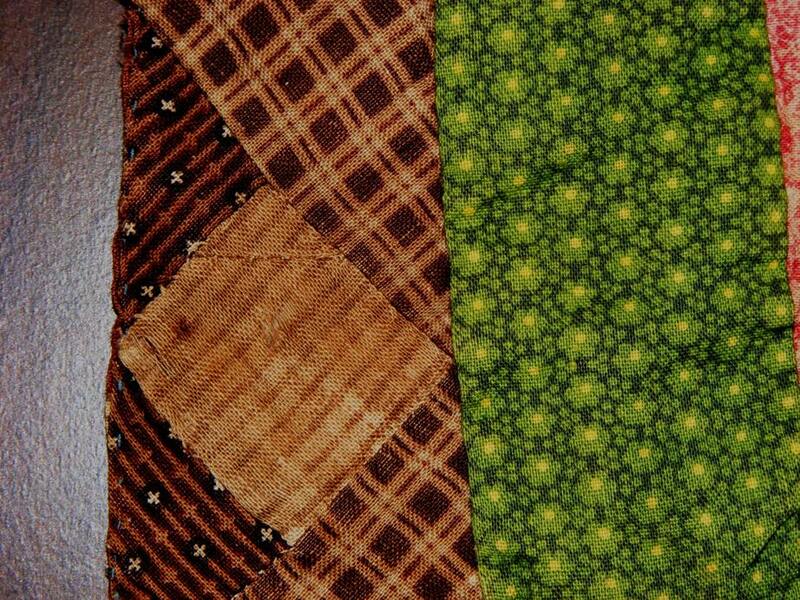 I love that funny old green in the quilt. Thanks for sharing! 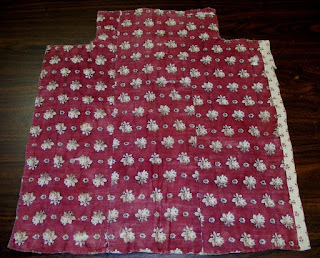 this antique quilt is wonderful....oh my love the fabrics love the cut outs oh what a treasure! Secret Santa Christmas Swap 2011....! Secret Santa Christmas Swap ....! Antique Quilts .... another treat!